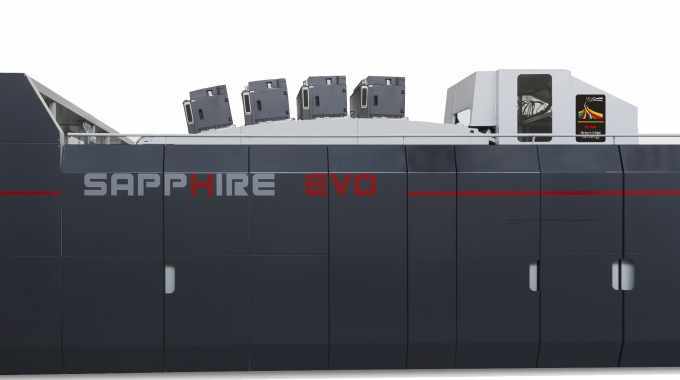 Italy’s Nuova Erreplast and Japan’s Kinyosha are the first customers for the Uteco Sapphire Evo hybrid digital web press. Uteco first introduced the Kodak Stream-powered Sapphire Evo in June 2018 as a production inkjet printing option using water-based inks at high speeds. Sapphire Evo has a 650mm web width, a printing width of 622mm and can print at up to 300m/min.